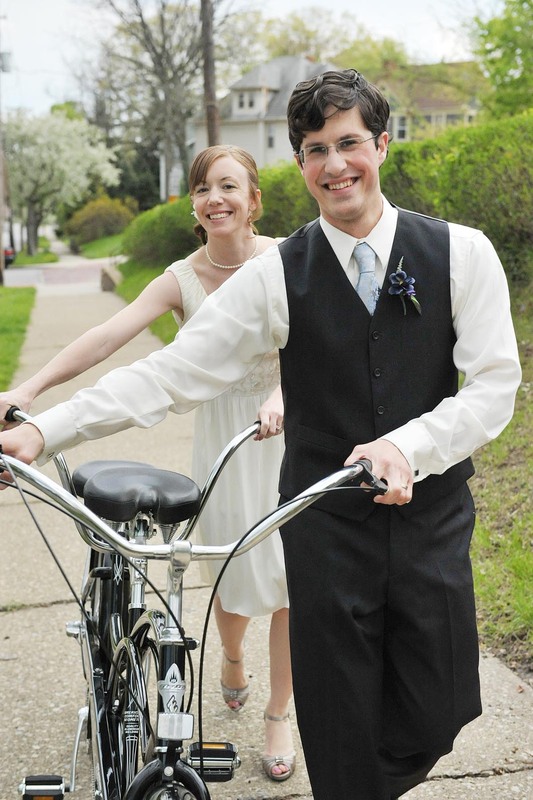 Last year, we were thrilled that Century Cycles got to be a part of Mike and Bethany Kessel's wedding day. You see, about five months before his spring wedding, Mike contacted us about renting a tandem bicycle. While we don't rent tandems, we told him that we are happy to loan them to brides and grooms! Mr. and Mrs. Kessel had great fun incorporating a bicycle into their special day. Mike told us, "My wife and I were delighted to ride off in such a unique manner. Also, our guests were impressed that we didn't fall down." 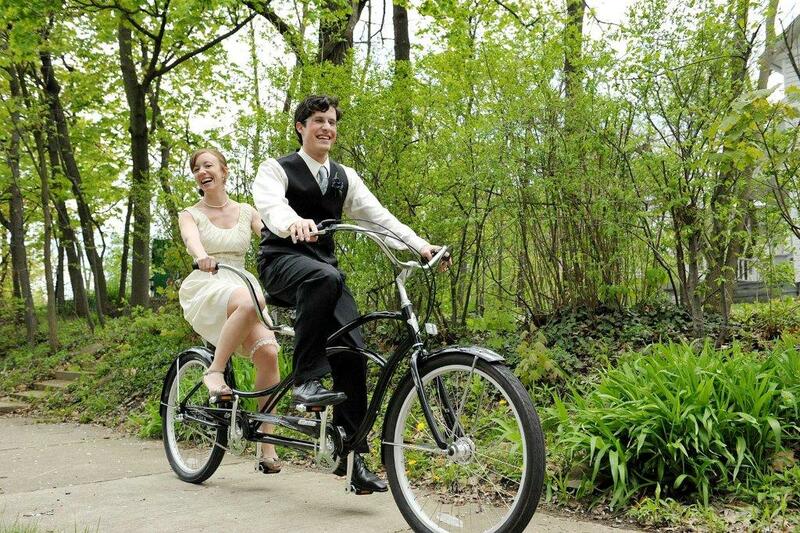 Interested in borrowing a tandem bicycle for a wedding? You'll want to call Mike Petcher at the tandem bike headquarters in our Medina store at 330-722-7119. He'll let you know what tandems are available for your special date. He'll also make arrangements for you to come in to check them out, get fitted and take a test ride. Brides will also be consulted about the length of their gowns (long ones can be troublesome to bike chains) and the height of their handlebars. We don't charge for a tandem loan for weddings. Instead, we just ask that you give Century Cycles a shout-out in your program or some other similar consideration, as well as take responsibility for any damage that may occur while the bike is in your possession. We'd also be thrilled if you shared a photo (or two!) with us so we can share the joy! Belated but sincere congratulations to Mike and Bethany -- may your marriage be as harmonious as your tandem-riding!